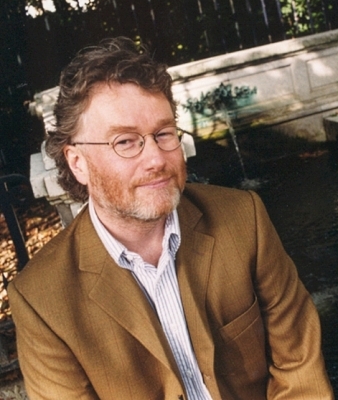 I think Iain Banks’s latest science fiction – and Culture – novel demonstrates both his mastery of the single-volume space opera and also highlights some of his deficiencies as a writer. Many of the galaxy’s advanced races object to these hells, so there has been a virtual war raging for some years in a specially created series of simulated battlefields to settle the issue of whether the hells should be stamped out. The war is not going well for the anti-hell side. The narrative follows another character, Vatueil, through a number of fights in this war that usually end with his own death. As usual, Banks’s writing is crisp, intelligent, playful and a pleasure to read. 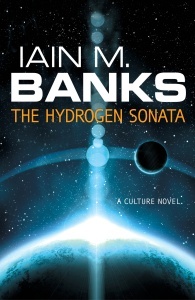 Any fan of his science fiction novels will be swept up in the continuing history of the Culture – a hedonistic, pan-galactic meta-civilisation whose interactions with less advanced peoples and the machinations of its Special Circumstances branch form the bulk of Banks’s sf adventures. The novel can be read in isolation, but there are lots of references to previous narratives, and there’s an extra special little Easter egg in the epilogue. Surface Detail is a pretty hefty volume, but it packs an awful lot into its pages. There is the War of the Hells, Lededje’s quest for revenge aided by a joyfully psychotic SC ship, the plottings of the man who killed her, Prin’s legal battle, Prin’s wife’s existence trapped in hell, the investigation of a Quietus operative, Yime Nsokyi (Quietus is another Culture branch introduced for the first time in this book). All these threads seem disparate at first, but increasingly come together into a pleasing whole. Once I’d finished the book, however, it seemed that the story of Prin and his wife, while providing a vital and gruesome context to the rest of the novel, didn’t really affect the conclusion in any way whatever. While the writing was great, the story intriguing and the characters engaging, there never really felt like there was a huge amount at stake. Lededje has already survived death and anything she achieves afterwards can only be a bonus; the ship she travels on to get back home is a top of the line military craft that is capable of severely embarrassing the lower tech of the world it heads towards. This is one of the problems with the Culture as a dramatic setting: its technology surpasses almost all other civilisations, its main operatives are AI-controlled ships with vast capabilities; in the Culture universe, the only races that can really threaten the Culture are ones that are so advanced that they aren’t even really interested in galactic affairs. In this light, one of the best parts of the book involves the Yime and her ship nearly being destroyed by a sentient remnant of a long-gone civilisation. This is merely a detour, however, and doesn’t have much relevance to the rest of the story. While the characters are likeable and believable, I found it difficult to really care that much about them. This is a book to savour for its grand sweep of narrative and the detail of its world-building rather than the force of its character arcs. But that’s OK, because visiting the Culture universe is an immersive and inspiring joyride, borne along by the zippy vehicle of Banks’s writing.